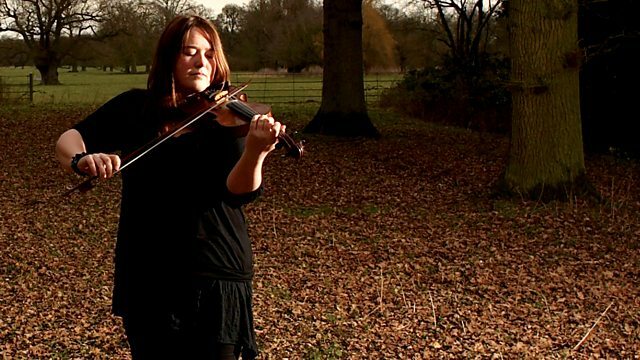 Fiddle and recorder player Laura Cannell joins Stuart with a selection of music from modern artists who connect to the sounds, structures and textures of medieval music. Fiddle and recorder player Laura Cannell joins Stuart with music that connects the middle ages to the modern world. Laura's own music explores ancient traditions with improvisation and experimental techniques, here she looks at the artists who have inspired her which have strong connections to the sounds, structures and textures of medieval music. Featuring tracks by harpist Rhodri Davies, electronic duo Matmos and Oneontrix Point Never. Edda - Myths From Medieval Iceland. Feathered Swing Of The Raven.